A whole foods diet is distinctly different from whole grains foods or raw foods diet even though these two are an important part of a diet involving whole foods. By definition whole foods are those foods that are consumed as close as possible to their natural state which have not been processed. They contain no additives and preservatives. 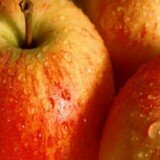 Additionally they are not genetically modified in any way as has become much of the food that we consume. Even some of the meats and grains from the farm may contain some modifications which disqualify them from being called whole foods. This because when food is being grown pesticides cane be used. Whole grain foods such as brown rice, unprocessed oats and wheat are an important part of any whole foods diet so are raw foods. Raw foods are eaten raw without being cooked or manipulated using heat. This is what forms a raw food diet. Whole foods can be cooked or heated and still called whole foods. The importance of a whole foods diet cannot be overstated. In fact prior to to the late 1800s when the roller mill was invented for thousands of years early civilizations had been eating whole foods mainly comprised of whole grain foods. The roller mill invention changed things drastically by increasing the popularity of processed foods which today have come to contain a whole lot more additives, preservatives and synthetic modifications. When making a decision to follow a diet of whole foods only its best to remember that you are getting the food in its intact in its natural state. This means the food will be containing all its vitamins, minerals and other important nutrients. 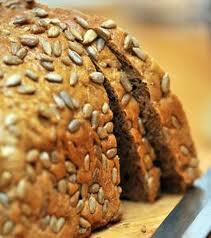 For example when you eat whole grain foods such as brown rice, you eat the kernel's bran, endosperm and germ. Due to fact that whole foods are natural dieticians agree that they possess tremendous benefits to our health especially our immune system. The most refereed to and used whole foods are fruits and vegetables which fit into the definition of whole foods mentioned above. These are an important part of lifestyle modifications for individuals suffering from hypertension, heart disease and diabetes amongst other chronic diseases. A whole foods diet can be used as a preventative measure against disease as well as a an effective way of managing already existing disease as mentioned above. To be sure whole foods may not play an actual disease prevention role even though that's how the term is used loosely when it comes to whole foods. In stead whole foods drastically reduce the risk of certain diseases such as a wide array of cancers, cardiovascular disease and type 2 diabetes. Whole foods automatically form part of healthy eating as they are often low in cholesterol. Some of the foods actually help in lowering cholesterol which is bad for your heart health. Doctors have pointed out to some very important outcomes in cancer patients who turn to whole foods meals after being diagnosed with cancer. A research done by experts from University of Victoria in British Colombia in 1988 showed some spontaneous regression in cancer amongst patients who switched to whole foods after finding out they have cancer. This research does not in any way suggest that whole foods are a cure for cancer. However it points to important results occurring in cancer patients as a result of switching their diet to an entirely whole foods diet. Studies also show that a whole foods diet including salmon and mackerel provide omega-3 fatty acids which are known to play an important role in reducing prostate cancer progression in men. The benefits of omega-3 fatty acids go beyond cancer to include helping with a healthy heart, and reducing the high risk of cardiovascular disease in certain individuals. It is also important in reducing the risk of abnormal heartbeats known as arrhythmias which may lead to sudden death. You may have your fish baked or grilled avoiding certain fish high in mercury. Doctors note that diet plays an important role after the cancer has already began affecting it positively or negatively. Poor diet may aid cancer growth whilst on the other hand a healthy whole foods lifestlye may inhibit the growth of that cancer or cancer progression there by increasing life expectancy. Whole foods have long been identified as an important part of any weight loss program. In fact millions of people today are turning to whole foods in an attempt to have them help use weight. The most common types of whole foods associated with weight loss are whole grain foods. Today supermarkets are filled with bran flakes or bran cereals in an attempt to attract weight loss enthusiasts. Exactly how foods that are whole such whole grains help in weight loss is still a matter of detailed scientific clarification. It is however believed that whole foods help by satiation which reduces the desire to eat after a meal. This ensures that you are able to "last" longer before another meal. 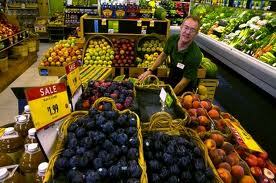 Other whole foods that are used in weight loss include fruits and vegetables some of which are eaten raw. Whole foods are known to protect your cells and promote healthy cells as well as help in building muscles. They also promote healthy skin which is smooth. The following is a non-exhaustive list of whole foods to include in your day to day diet. These foods can be part of your specific healthy cooking recipes or healthy bread recipes or even some nice and easy holiday recipes.